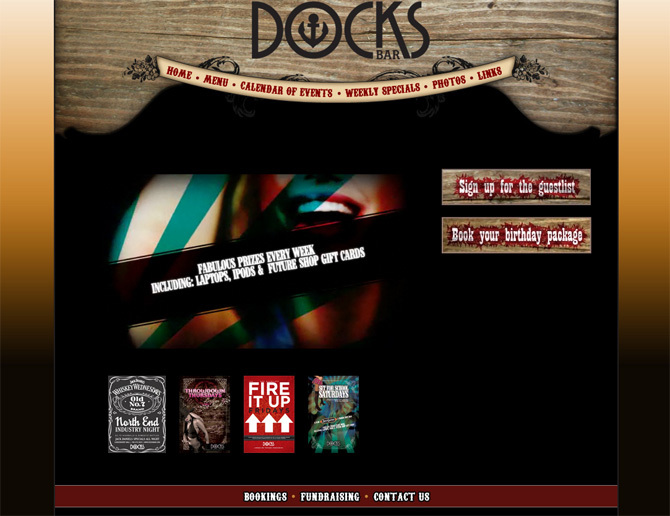 The Docks Bar was looking for a website to explain their new specials and weekly events on the fly to their clients. We created an easy-to-use entry system to instantly add daily specials, special events, customer membership information and e-mail it's entire member base. Additionally this website build supports the ability to have weekly specials pop out as a window overlaid on top of the website.